Remaco BKT-510 Plasma / LCD TV Bracket is designed stylish & user-friendly. Universal design enable it to fit most Plasma Displaying Panels from diagonal 30" to 60", and can take weight up to 96kg! Nothing less then what we expected... but instead more!! Tilting angle up to 13 degree, sliding freely horizontally is what you desire for "That Perfect View!" This include safety stopper to secure twin arms on the wall plate. 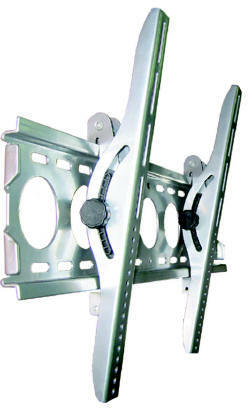 All these makes Remaco BKT-510 Plasma / LCD TV Bracket the most versatile product in the market. BKT Series is out now! !